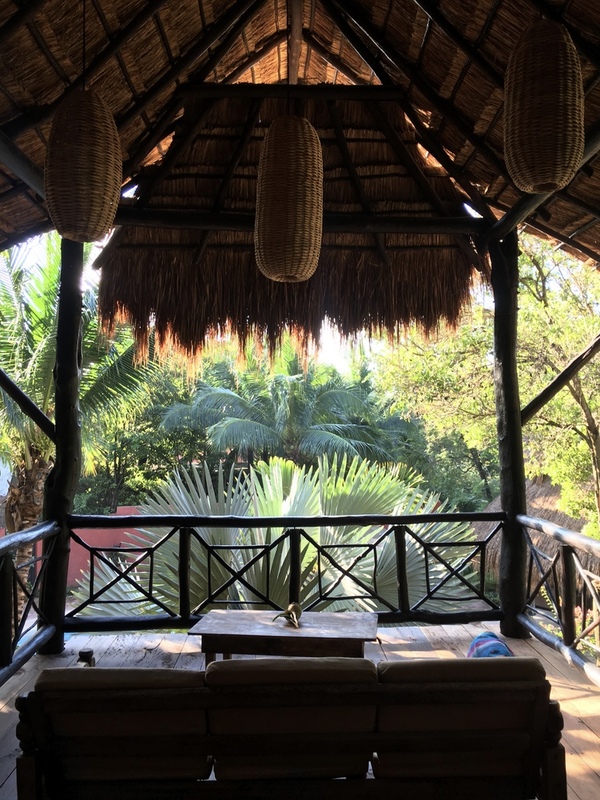 I’ve been to a lot of places… but oh dear… Tulum has a special place in my heart. 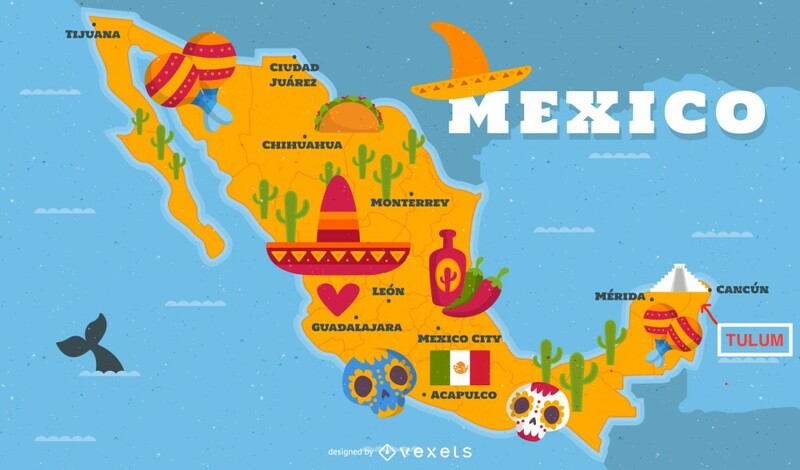 For the ones who don’t know Tulum is a city in Mexico, not too far from Playa del Carmen and Cancun. See below the map. So here we are flying to Cancun, renting a car and driving down to Tulum (approx 2 hours drive). 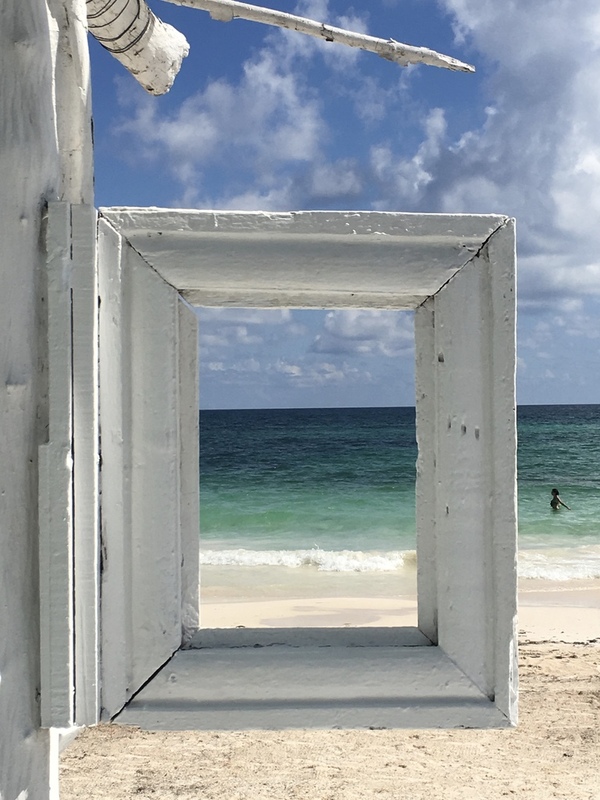 On the drive though, you should stop at Playa del Carmen and have a quick look. It’s a more touristic city but it’s still really cool to walk around, it has nice bars and restaurants. 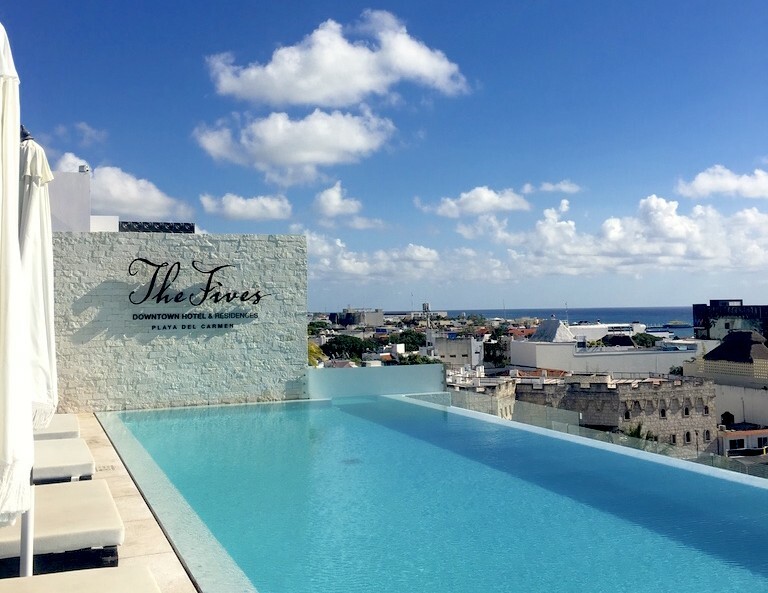 If you want to stop for the day and enjoy a little Rooftop with a swimming pool go to The Fives Downtown Hotel & Residences (Hilton). We did spend an entire afternoon eating and drinking on a massive sun bed, next to a big pool and a beautiful view! OH YEAH. 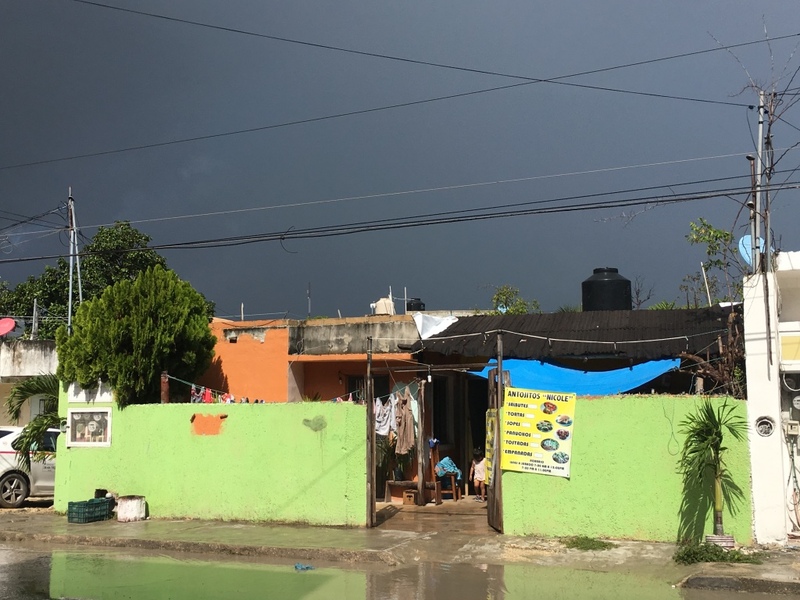 After getting quite sunburned, we started the drive to Tulum city ( Little advice, try to do the drive during daylight, it’s way easier and you will feel more safe). When booking hotel, I usually spend quite a bit of time finding a little gem… something different you know. And I’ve find the PERFECT LITTLE ONE. 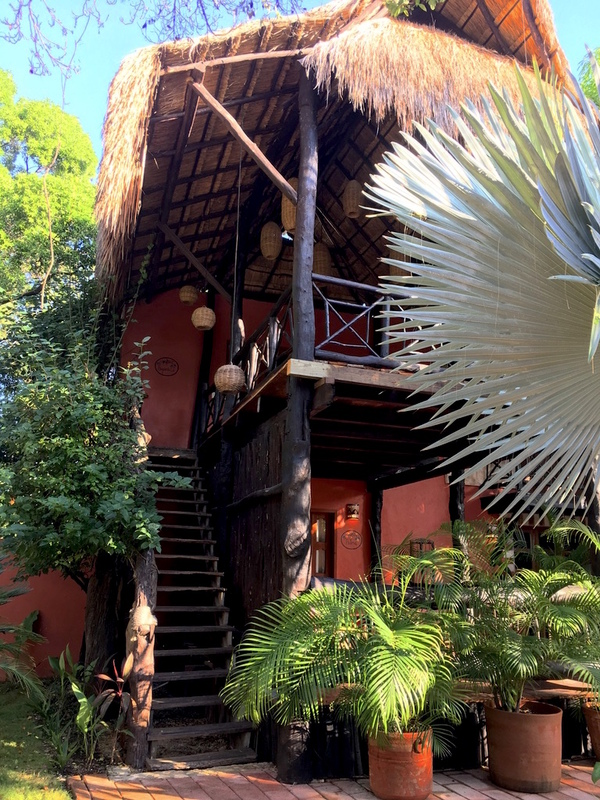 The Coco Hacienda Tulum – What a beautiful little secret space. 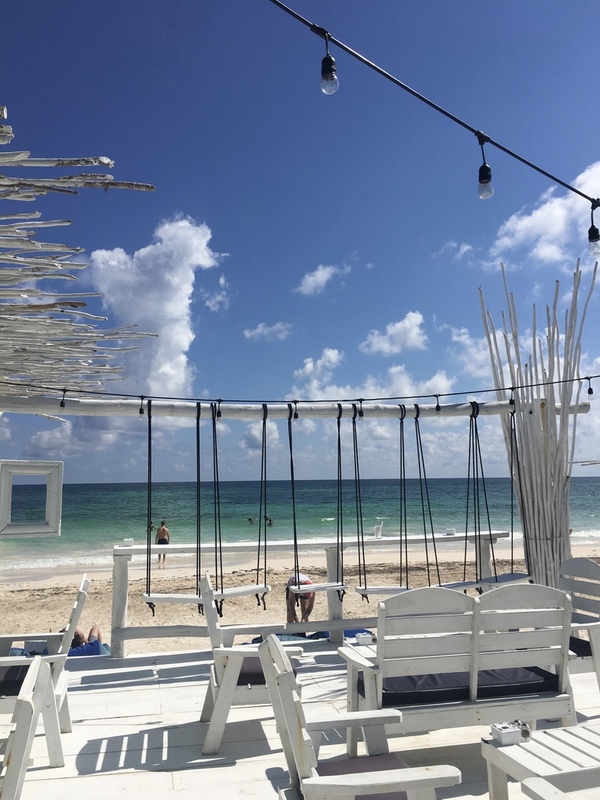 It is located at the far end of the main street in Tulum but it’s worth it. It is SO special and unique. It’s quite small, doesn’t have that many rooms. You have different possibility in your choice of rooms. I choose the one called Bugambilia (Casita Deluxe). Let me just say, you won’t be disappointed if you choose that one. 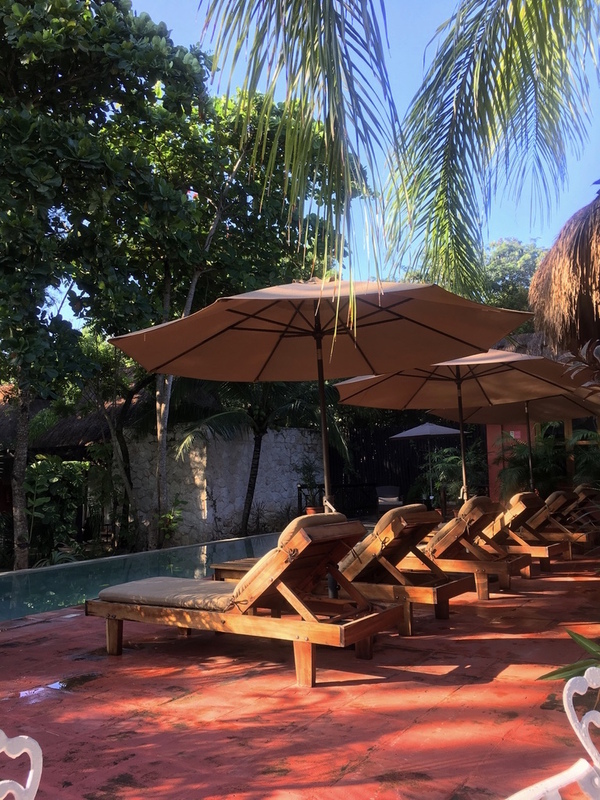 The great thing also with this hotel is that has 2 other hotels in Tulum where you can have access. Another big thing for me in holiday… the food. I just keep eating! Literally my diet is probably screwed only a few hours after I’ve landed somewhere! But HEY life is to be enjoyed! 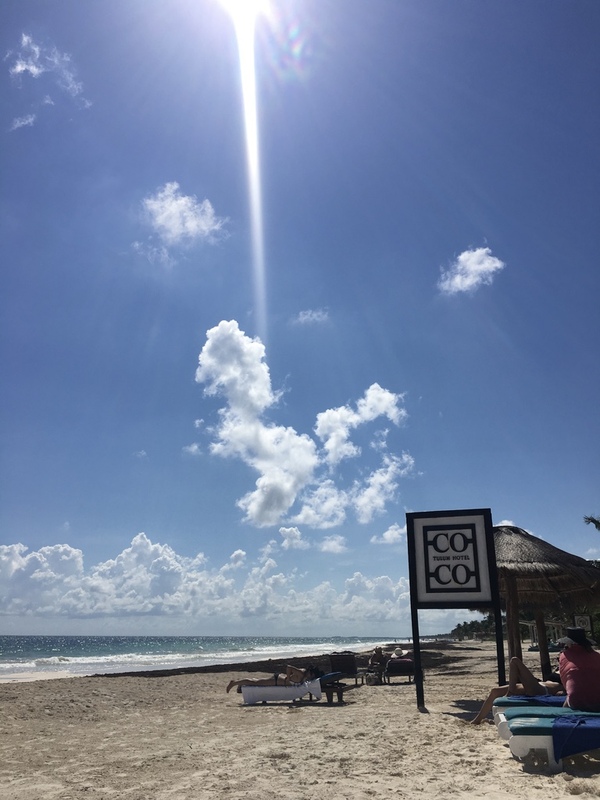 Tulum is great for food, you will find fresh fish, traditional dishes and sweet fruits all around! 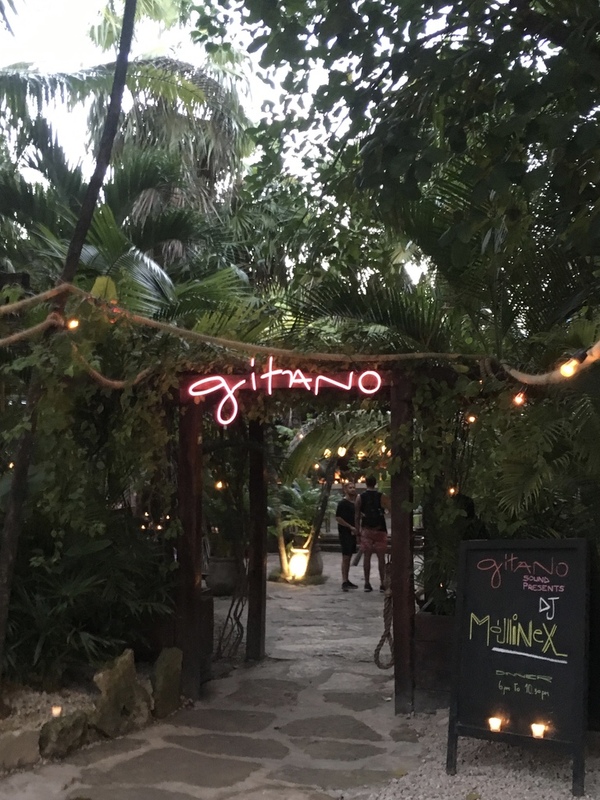 Okay so this is so random but we went in one of the back street of Tulum and find this really traditional “restaurant”. It was manage in the home of a Mexican family. The mom and dad were cooking and the children helping while the granny was watching us. They didn’t speak a word of English so I had to try with my limited Spanish to order something. I think they had like 7 dishes on their menu and I basically said I wanted them all. 20 minutes later, here we were with a massive bag of food, which by the way cost us probably less than £10. I went back in the day time to take a picture in case you wanted to try and find it. Honestly one of the best meal we had there! Oh well…. we liked that one so much that we just went back everyday of our trip! (careful though they are closed on Tuesdays). 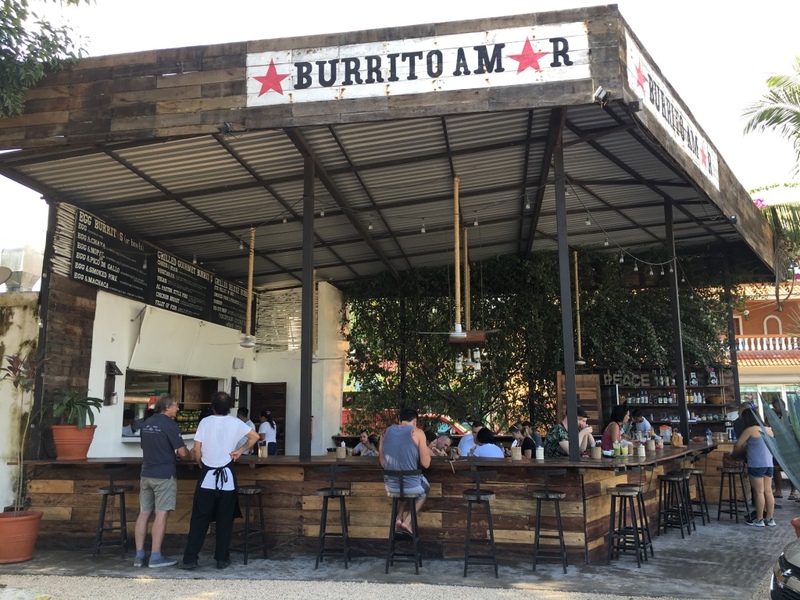 If you like great coffee, burritos and avocado on toast, then this is the spot for you! If you want something a bit more romantic take a little taxi to the beach street. There are SO many amazing places. I’ve only tried one and I thought it was magical. The decor, the smell, the light, the food, the music made it perfect for me. Obviously it costs a bit more than usual restaurant but it’s an experience. 1- Try to go before it’s dark, you should see the place when there is still a bit of sun out. 3- If you a tight on money, just order a few tacos and share with your BB. I won’t spend too much time on this but here are a few things we did that I think were worth it. Okay you have to do this but try to go early as you will avoid the crowd! The one we choose was really cool also a bit scary when you go quite far in the Cenote. 6- If it’s pouring rain, go get a massage! Try to always negociate, when you buy something in the street or even for taxi you can always get the price a bit down. Rent a car if you can! This will make your trip a lot easier. I’ve never felt unsafe but don’t just walk around back street with fancy jewelry, I mean would you even do this in London? I hope that you enjoyed this article, a bit different from what I usually do but exciting for me to write. 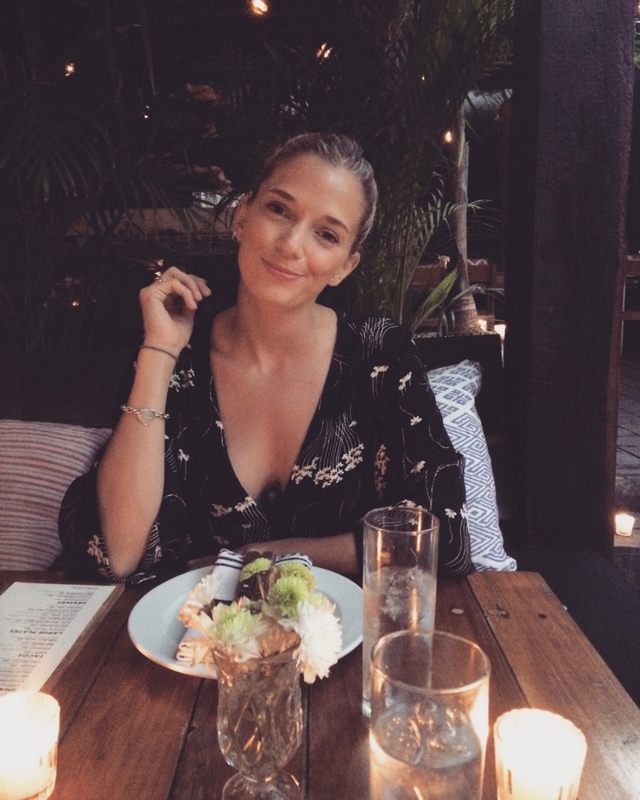 Previous Post Uplift your CONFIDENCE – 8 Ways to Boost it.